This area defined by getLISBON, Chiado/Bairro Alto/Amoreiras, is stunning; no matter where you turn to, there are always reasons to be stoked. Being able to have a 360º view of Lisbon is a good reason on its own to start the introduction of this area from its highest point, Amoreiras. 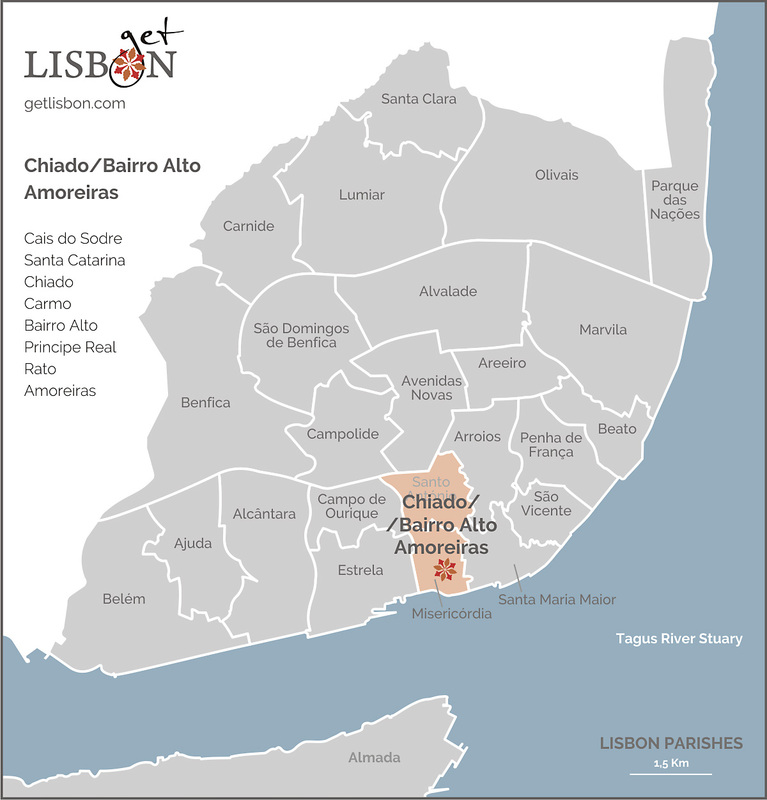 This route ends near the Tagus River in Cais do Sodré, passing through the fascinating Chiado. The viewpoint is located in the Amoreiras Towers, where one of the most notable shopping centres of the city is located. In Praça das Amoreiras you can enjoy a beautiful garden surrounded by 100-year-old buildings, visit the Arpad Szenes/Vieira da Silva Museum installed in the old Silk Tissue Fabric and the last part of the grand Águas Livres Aqueduct, the Mãe d’ Água das Amoreiras Reservoir. 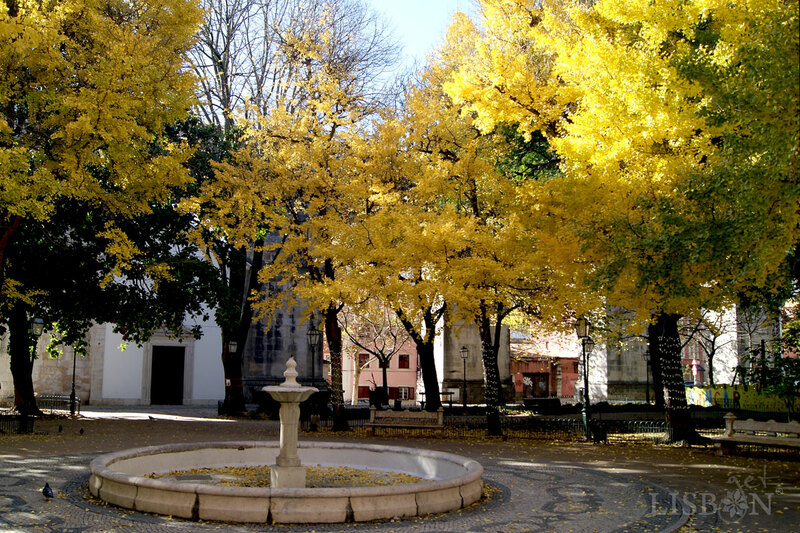 Moving to Largo do Rato and going through Rua da Escola Politécnica, an interesting street from the 19th century, marked by beautiful palaces, and where the Museum of Natural History and Science and the Lisbon Botanic Garden are situated. 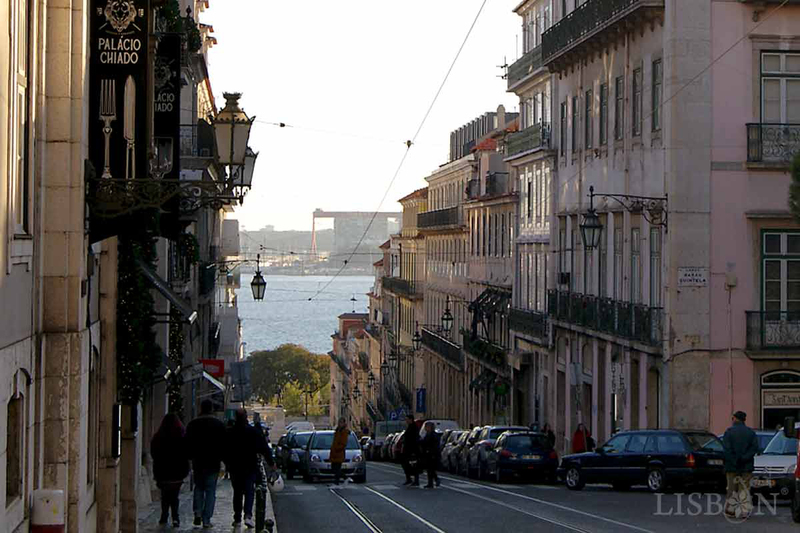 Traditional trade, cafes, antique shops and other curiosities enliven this area, mistakenly called the seventh hill (read article Lisbon, City of Seven Hills). We’d also like to mention the Príncipe Real Garden, with unusual cypress trees, where you can enjoy what the kiosks have to offer and the fairs that periodically take place. In the viewpoint of São Pedro de Alcântara, you can once again become amazed by the landscape. You can’t miss the church of São Roque and right beside it, the neuralgic centre of the city, Chiado, with its shops, emblematic cafés, theatres, churches, and lots of animation. In the orthogonal Bairro Alto, where exist houses from the 16th century and palaces that take up entire blocks, here you can find bars and the best restaurants of the city to not only have dinner, but also lots of fun. If you think that the night ends here, you are completely wrong. The hustle and bustle of the nightlife currently in vogue is in Cais do Sodré, where there is more… much more to see.